Are punitive damages available in personal injury cases? What are punitive damages and when are they awarded? Does Arizona impose any limitations on the amount of punitive damages that can be awarded? The purpose of a civil lawsuit is to return the injured plaintiff to the position they were in before their injury. However, in rare cases, the defendant’s conduct is so bad that the court punishes the defendant. This is where punitive damages come into play. In this article, we’ll take a look at what punitive damages are, when they’re available in Arizona, and whether there’s any limit to the amount of punitive damages that can be awarded. Lastly, we’ll look at an example of a recent Arizona case where punitive damages were awarded. When it comes to personal injury law, there are two types of damages: compensatory damages and punitive damages (sometimes called “exemplary damages”). 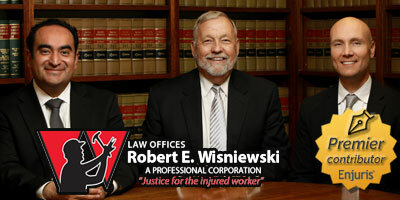 Compensatory damages are intended to compensate the plaintiff for the losses associated with their injuries. Compensatory damages can be broken down into: special compensatory damages (intended to compensate economic losses) and general compensatory damages (intended to compensate non-economic losses). Punitive damages are monetary damages awarded to a plaintiff in addition to and apart from compensatory damages. When are punitive damages available in Arizona? From the above definition, you can see that punitive damages aren’t available when the defendant is simply negligent (i.e., careless). The standard of proof to recover punitive damages is “clear and convincing” evidence of the defendant’s “evil hand and mind.” This means the plaintiff must present strong evidence that is highly and substantially more probable to be true than not true. Do insurance policies cover punitive damages? Absent a specific exclusion in the insurance policy, punitive damages are recoverable under the liability portion of an insurance policy. This means that if you’re involved in a car accident with a defendant and punitive damages are awarded, the defendant’s insurance company is responsible for paying those punitive damages so long as their insurance policy doesn’t specifically exclude punitive damages. Some states place a cap on the amount of punitive damages that can be awarded. Arizona has no such cap. However, the United States Supreme Court has held that a ratio of punitive damages to compensatory damages that exceeds 9:1 will generally be deemed unconstitutional. For example, if you’re awarded $100,000 in compensatory damages, an award of $900,000 will generally be deemed unconstitutional and reduced to something more appropriate. Under Arizona statute, public entities and employees are immune from punitive damages. This means that neither a public entity (such as a public school) nor a public employee (such as a police officer) acting within the scope of their employment can be held liable for punitive damages. Is there a case example? In Hudgins v. Southwest Airlines Co., bounty hunters flew from Baltimore to Phoenix on Southwest Airlines. Prior to departure, the bounty hunters contacted Southwest to ask whether handguns were permitted on the airplane. Agents from Southwest explained that they were. Nevertheless, during the flight, the pilot learned that the men on board were carrying handguns and notified the Phoenix Police. The police handcuffed the men as they disembarked from the plane and put them in jail for 2 days. It was later determined that cooperation from Southwest would have resulted in the immediate release of the bounty hunters, but that Southwest refused to cooperate. Ultimately, the charges against the bounty hunters were dropped and the bounty hunters sued Southwest. The jury awarded $500,000 in compensatory damages and $4 million in punitive damages. An Arizona court of appeals court found that the 8:1 ratio was unconstitutional and reduced the award to a 1:1 ration (i.e., $500,000 in punitive damages). If you think punitive damages might be available in your case, use our free online directory to find an experienced Arizona attorney so that you can ensure you get the damages award you deserve.